In most multiplayer video games, you’re on equal footing with your opponents. You’re on the same map, with the same moves and tools, and the more skilled player will theoretically win. That’s not the case with Spy Party, a two-player game where each player’s role couldn’t be more different. Spy Party has of course been playable via Hecker’s website for a while now, and it’ll be on Steam early access soon, too. 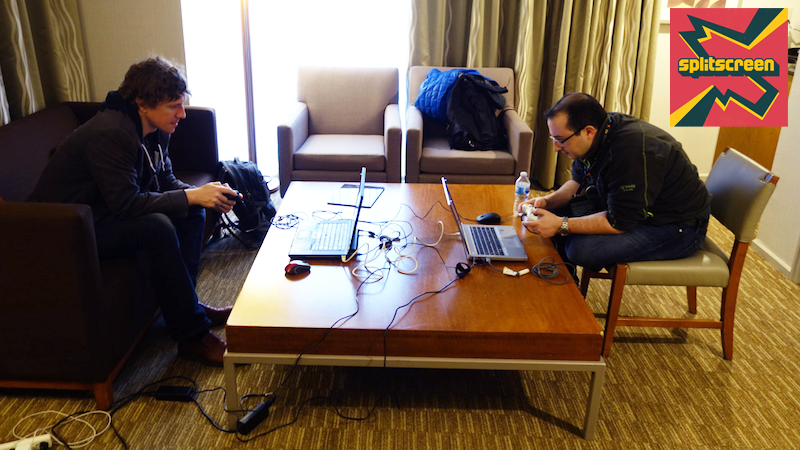 Jason and I had a great time playing, and just as much fun talking to the always enthusiastic Hecker about what it’s been like to work on the same game for so many years. Here’s a lightly edited transcript from part of our conversation where Jason and I recounted our time playing the game, then talked with Hecker a bit about asymmetric multiplayer games. Kirk Hamilton: So can we stop for a second a describe our experience with [the game]? Chris Hecker: Yeah, do it. Hecker: Basically the missions are all tropes from spy and mystery fiction. Hecker: You wouldn’t leave the hotel room, which is a good sign. Jason Schreier: You beat me three to two, so I was very upset about that. Kirk: This game is fun, though. And so what the difference is: Spy Party is 100% asymmetric. There is no way for the spy to get around behind the sniper and stab him in the back with a knife. The sniper doesn’t have to worry about watching their back at all. I can take 100% of the sniper’s brainpower and devote it towards the party, which means I can make the tells way more subtle. So the spy also knows they have to commit to the deception part of it. If you get what happens in Brotherhood multiplayer, is, you get someone who’s better at combat or whatever, or jumping around roofs, and then they’re like screw this hiding in plain sight thing, I’m just gonna wait for somebody to do it and then just do the pile-on thing. Spy Party is en route to Steam early access, and I definitely recommend people check it out. It’s too bad there isn’t an easier way to play it locally, since it’s so much fun to be in the room with the person you’re playing against. (This would’ve been such a good Wii U game!) Even so, it’s still a fascinating and really fun game, and Jason and I only scratched the surface of what’s possible. For more of Hecker’s thoughts on game design, listen to the full interview. As always, you can find Splitscreen on Apple Podcasts and Google Play. Leave us a review if you like what you hear, and reach us at splitscreen@kotaku.com with any and all questions, requests, and suggestions.